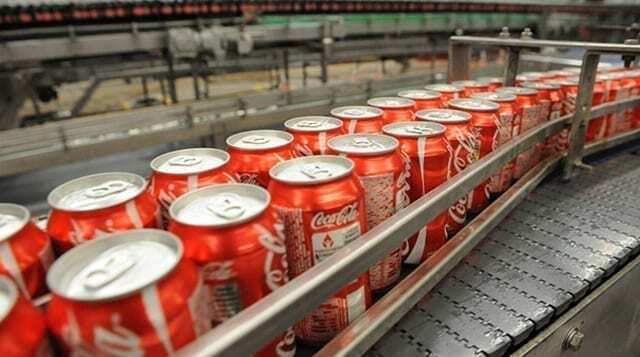 SOUTH AFRICA – Coca-Cola Beverages South Africa (CCBSA) plans to drive down the average unit sugar content across its portfolio of products by 22-24% by the end of 2018, says Velaphi Ratshefol, the Managing Director of the company. According to a press release in the Business Report, the company will achieve this through switching consumers from regular to zero sugar versions of its brands while also reviewing all of its recipes and formulas for its regular products and reducing their sugar content in the recipes, where it makes sense to do so. This is part of a three-pronged strategy of the company to meet new sugar regulations introduced in South Africa by the authorities, even as the company insists that a more holistic approach to the sugar reduction could have long-term benefits to the consumers. When it comes to obesity, a tax on sugar-sweetened beverages (SSBs) is unlikely to be the most effective way to change behaviour. Instead, a portfolio of interventions and holistic strategy are needed to encourage the reduction of sugar consumption, insists CCBSA. The effectiveness of a tax on SSBs, aimed at singling out one food item in addressing this complex and challenging issue, must be questioned. There is surely a better way. Government could implement a regulatory framework instead of a punitive and regressive tax, the company cautions. In practice, this would be easy to implement – regulate the sugar content and have in place an independent monitoring system to ensure industry adheres to commitments made and timeframes, as well as to eliminate free-riders, it argues. However, while debate around the SSB tax continues, the company’s focus has been on driving reduced consumption of sugar through a three pronged strategy: increasing the marketing and variety of Diet, Light and Zero sugar alternatives to popular brands; introducing smaller pack sizes to encourage portion control; and reformulating the recipes of certain brands by reducing the sugar content, explains the company. These strategies are beginning to work on the ground. Already consumers are responding to a combination of price incentives and awareness marketing and switching to lower calorie brands, with advertising campaigns showing zero calorie beverage options of popular brands. The company is currently selling zero sugar variants a little cheaper than regular variants across its brand portfolio to encourage people to try the zero sugar offerings. As a result, this marketing/pricing combination has led to a significant increase in sales of lights and zeros, according to the report. According to the MD, reformulation efforts have seen sugar reductions across key brands with the goal to reduce the overall sugar content across its portfolio of beverages over time. The company’s efforts at portion control have already made a lot of headway, with the goal of offering consumers smaller pack sizes. The company has already completed the discontinuation the 2.5 litre size Coke, while decreasing the 2.25 litre to 2 litre for 2 Coke and core flavours, as well as the 500ml bottle (to 440ml) and the 330ml (to 300ml). It is also expanding the production of the 1.5 litre as an alternative to the 2 litre bottle. CCBSA believes that the lack of a nationally led campaign to change health-related behaviour through education and information has made the industry’s efforts to introduce nutrition labelling and fact-based Guideline Daily Amount (GDA) not make sense to the consumer. The industry has also recently made the call to the government of South Africa to work with the company and the industry to educate and inform consumers in the country during the parliamentary hearings into the proposed tax. The promotion of sugar sweetened beverage taxation will have very limited health benefits but could have serious unintended economic consequences and lead to job losses, acoording to CCBSA. The company has urged the government, industry and civil society to work together to create solutions that provide the desired health outcomes as well as economic opportunity, instead of economic risk.